Can Borrowers Over 60 Get Out of Student Loan Default? Two weeks ago, we published a blog that discussed the Consumer Finance Protection Bureau’s (CFPB) alarming findings on student loans. The CFPB’s report discussed several developing student loan trends, some of which were not covered on our prior blog. According to the report, Americans over 60 are the fastest growing student loan demographic. The CFPB report claims that more than 70 percent of student loan debtors over 60 borrowed to send their children or grandchildren to college. Many of these borrowers used PLUS Loans, a type of federal student loan that parents can use to fund the undergraduate college degrees of their children. What makes this demographic unique is that many Americans over 60 have already entered retirement. Some may be unable to make monthly payments because they live on a fixed income. This may explain why more than 40 percent of federal student loan borrowers in this demographic have defaulted. The consequences of defaulting on federal student loans are devastating for borrowers who rely on Social Security. These borrowers have their Social Security payments garnished, leaving them unable to afford basic life necessities. How Can Student Loan Borrowers Over 60 Get Out of Default? Borrowers over 60 may be able to rehabilitate or consolidate their defaulted student loans. Both options may bring defaulted student loans back into good standing. Loan rehabilitation. The Department of Education’s loan rehabilitation program allows defaulted borrowers with eligible loans to agree to a strict repayment schedule. To qualify for this option, borrowers must have FFEL or Direct Loans. Borrowers enrolled in the program must make nine monthly payments within 20 days of the due date during a 10-month period. Direct Consolidation Loan. Many federal borrowers can convert defaulted federal loans into a Direct Consolidation Loan. Direct PLUS Loan borrowers may qualify for this option even if they have defaulted. Disability discharge. Older borrowers with defaulted federal loans may be able to apply for a total and permanent disability discharge. This option would also halt Social Security garnishments. If you are a PLUS Loan borrower over 60 years old and are in danger of defaulting, then you could consider enrolling in the Income Contingent Repayment (ICR) program. The ICR program caps your monthly payments to a percentage of your income. 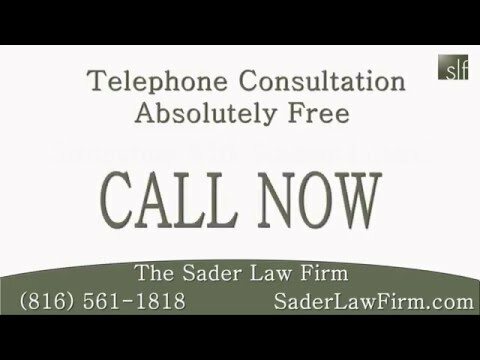 The Kansas City student loan lawyers at The Sader Law Firm help borrowers who are struggling with higher education debt.